A remarkably useful idea: when you're gear's packed into a series of drybags, it can be handy to see which one contains what! 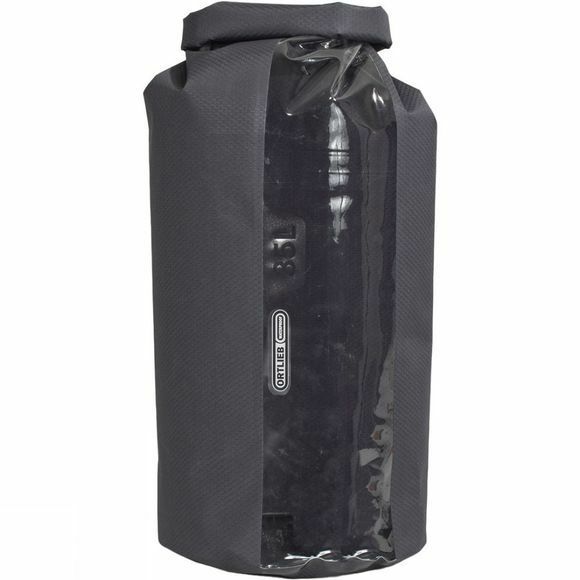 This tough roll-top drybag features a large see-through panel, so you know at a glance what's inside. D-rings at the top and a welded loop at the base make it easy to tie down to luggage racks (plus the loop comes in handy for shaking out the contents).